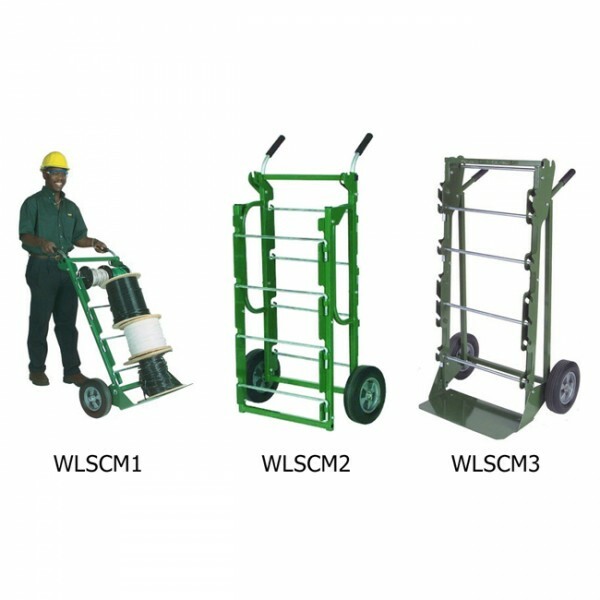 Kentruck Sales Ltd Caddy Mac Wire Spool Carts are expertly engineered and designed for holding and moving spools of many sizes. We offer the Kentruck Sales Ltd Caddy Mac in 4 different sizes. - Holds a wide variety of spool sizes. - Wires feed easily from the spool using the wire guides on the cart. - Spindles are secured in place while moving through the job site. - Empty spindles can be held on the cart. - 1/4" solid cart spindles swing out for quick loading and unloading of reels. - Caddy Mac 1 and 3 can be used as dollies. - Big 10" wheels are great for use on the job site. 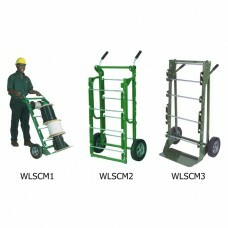 - No loose pieces and locking spindles make this cart easy to transport. - Easily remove spindles to accommodate larger spools. - Spindles stay in special loops, so they won't be lost during transportation.